So good to see the return of Easily Embarrassed, these new albums are great and much improved over the most recent Different Dimensions EP which I wasn't a fan of. Bluetech is quality as always, I expect nothing less from him. Harold Sleeper is the "sleeper" release of the week, a very impressive debut album, as is Spiral Minded's debut EP. Living Light is some good psydub, we need more women in psybient. Natural Life Essence is lush, beautiful ambient. Blue Tunes Chillout really needs a bandcamp page though. Have listened to a bunch of these already earlier in the week. Will get to the rest probably tomorrow. Also enjoyed the Coordinates.01 compilation from new label Saeiound. I really love Auma's tunes and it's great that he is still making tunes and hasn't disappeared into the wallpaper. Mindex, again, always good. Somatoast I quite like. And Ion Driver - a nice ambient tune from him too. David Starfire's Karuna album is quite good. I contributed to the Kickstarter campaign to see him get over to Thailand to produce it, so happy that he enjoyed the experience and got to make some good music with what seem like nice people. I haven't loved his music in the past, sometimes finding it too harsh or abrasive in its glitchier aspects, but he seems to be mellowing a bit maybe (to my ears). Haven't heard the others and probably won't. I barely have time to listen to the music I buy, let alone that which I don't. Although some weeks I spend more time listening to stuff I haven't bought yet on Bandcamp than the actual stuff I have already bought. Go figure.... If only there were 30 hours in a day and we only had to sleep for 6 of them.... but I digress. Blue Tunes Chillout really needs a bandcamp page though. I agree 100% they need a bandcamp page. I've asked them directly and there reply is not going to happen. Not sure what the issue is for those labels who don't release on bandcamp but I find it difficult support labels who don't. Enjoyed quite a few of the releases this week. Sideliner & Aviron was quite good. Harold Sleeper came in as the surprise of the week. r.roo did a great job on a lot of the remixes. But if I had to pick a top it would be Noraus. Beautiful! Unlike most it seems, I didn't like the EE releases. I guess its obvious from most of my posts and comments I'm not a fan of the glitch and bass stuff. But hey seems like most everyone else does! Agreed the Noraus album is quite special, reminds me of Solar Fields at times. This is the first I've heard from this artist but I've got my eye on them now. Have you listened to the first album (EE4A)? It's more ambient than the other two, might be more to your liking. I prefer B & C but it just goes to show how much variety there is in psybient, there's a little something for everyone. 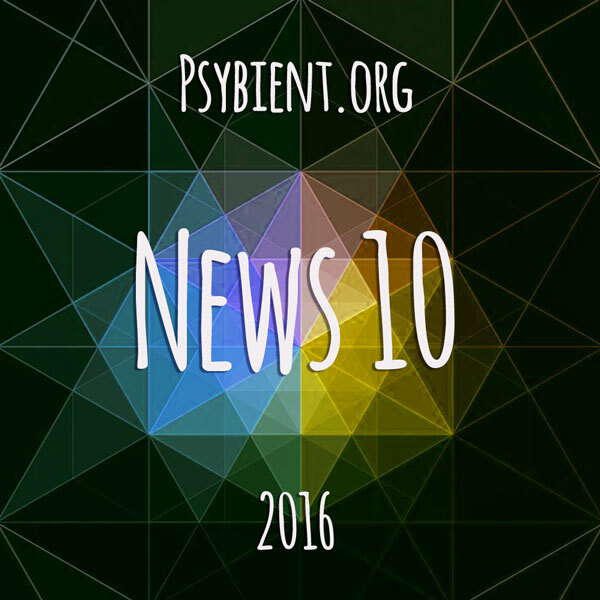 I tried to group the releases of 2016 into one of three genres: Ambient, Psybient, or Bass. If you go to the 2016 releases table link at the bottom of Maia's poll post, you can type one of these three genres into the search box to filter the table to only show releases of that genre. Thanks, yes I have listened to EE4A and it certainly is more ambient. My favorite, Deep Space Travel, was already released last year on a comp. So he get's my first vote! David Starfire = great bassmusic! Side Liner & Aviron = massive sound!